Schedule Your Free LASIK Consultation! 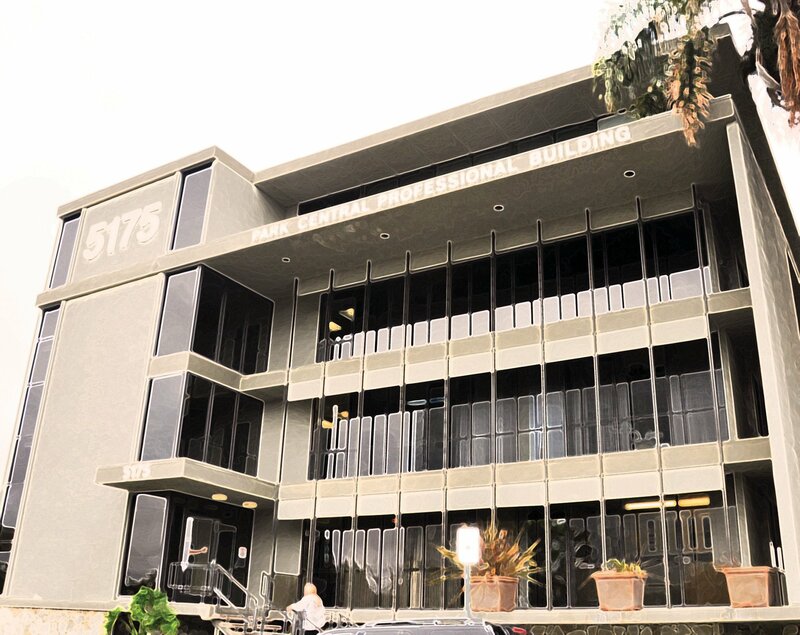 We are dedicated to providing comprehensive medical and surgical eye care with compassion and kindness. Dr. Pathak is trained in the latest technology and techniques to deliver excellent outcomes. We will always strive to make you feel like you are receiving personalized and premium eye care. We understand how much you value your vision. Our goal is to give you the freedom that comes with healthy eyes. 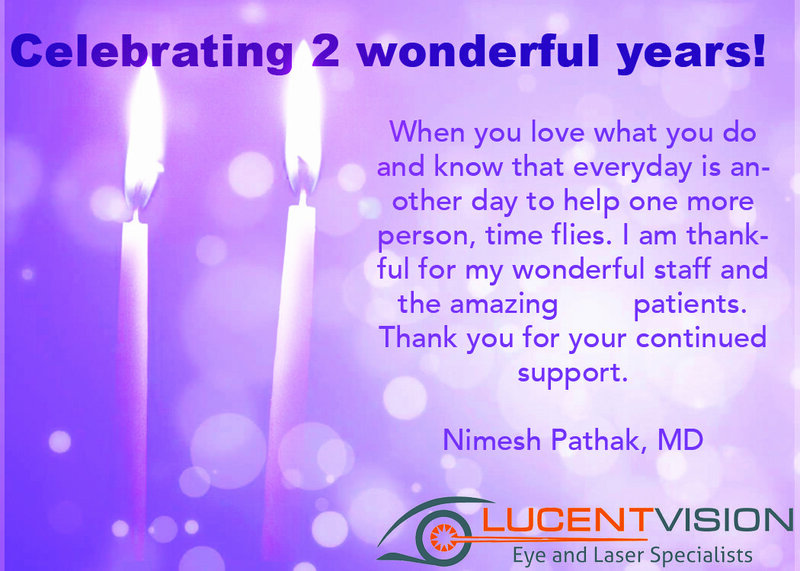 Thank you from Lucent Vision for TWO amazing years! The moment we went into Lucent Vision my wife and I had a good feeling about the place. The doctor and his crew are very professional and work very organized. The place is super clean and I believe that shows that they care about their work. We went in for a LASIK consultation and we had a very good talk about what makes a person a good candidate or not. I am a good candidate but my wife was not. I believe my wife would have been sold a package at one of the other laser places who do not place patient care at the top of their list. 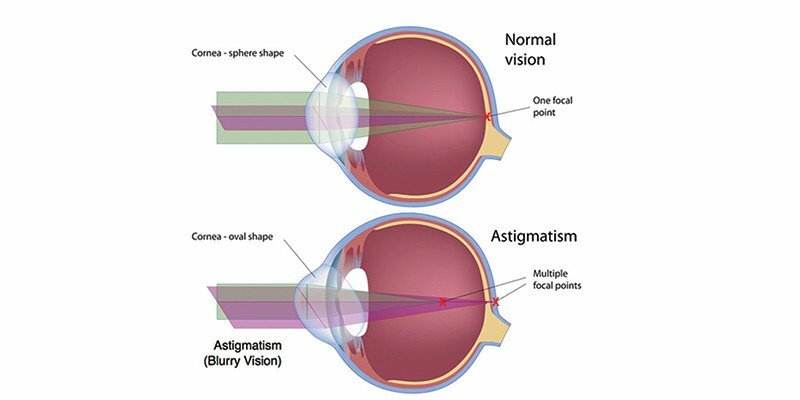 Anyone who gets LASIK here will know they are getting top notch technology and care! The price quoted was very good for the type of services to be rendered. I had a friend visiting from China who wanted Lasik. I contacted about 5 different laser centers and chose Lucent Vision because Dr. Pathak responded personally to my inquiries, both quickly and thoroughly explaining the process. It looked as if she would be a candidate for Lasik, but when we arrived for her appointment and Dr. Pathak did the final check, he said that she was on the border and that although Lasik would probably be okay, he felt PRK was a safer option. He was very patient in explaining the pros/cons, and gave her the option to come back a different day after thinking about it. Since she was here only for a limited time, he did everything he could to accommodate her schedule, even offering to stay late one evening. Dr. Pathak and his staff made the experience a great one and I have recommended Lucent to others. 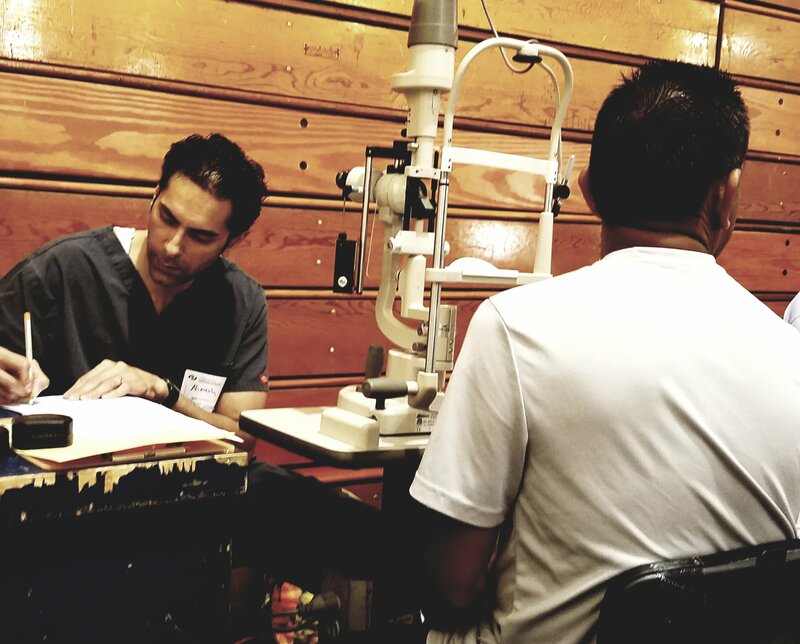 Dr. Pathak recently performed my LASIK and the results have been phenomenal. My vision is now 20/15! I can’t say enough great things about Dr. Pathak and his staff. They answered all my questions (and I had a lot) in a truthful, friendly and reassuring manner no matter how insignificant the question. Not only was Dr. Pathak great to work with and gave me perfect vision the price of the surgery was very reasonable. I did a lot of research before choosing a doctor and found out that Dr. Pathak uses the best of the best surgical machine while maintaining a low price point. I had other doctors quote nearly double what Lucent Vision charged. 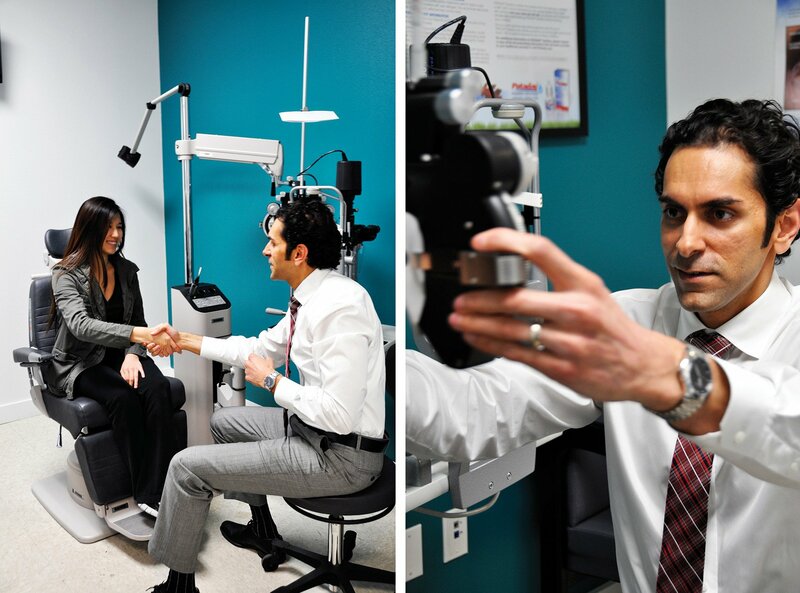 If you are considering LASIK I highly recommend stopping in to see Dr. Pathak at Lucent Vision. Even if you decide to go elsewhere the consultation is free! Dr. Pathak is great! He is very intelligent, will give you clear profound answers to all your questions. I am very happy I went to his office because this is a doctor who sincerely cares about his patients and will give a reliable professional opinion with excellent service. 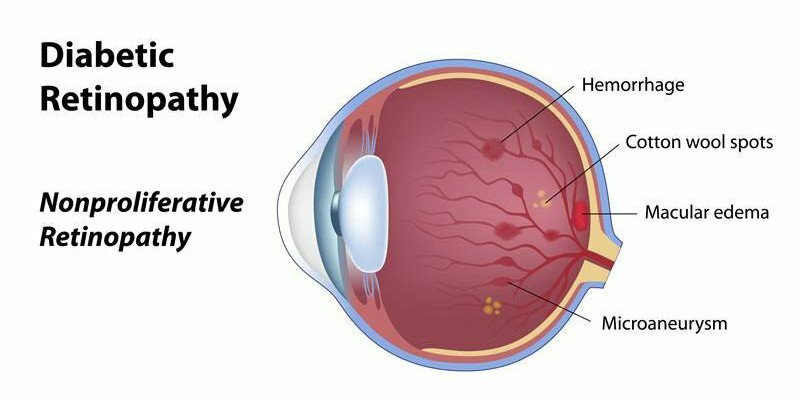 We provide free consultations for LASIK eye surgery! 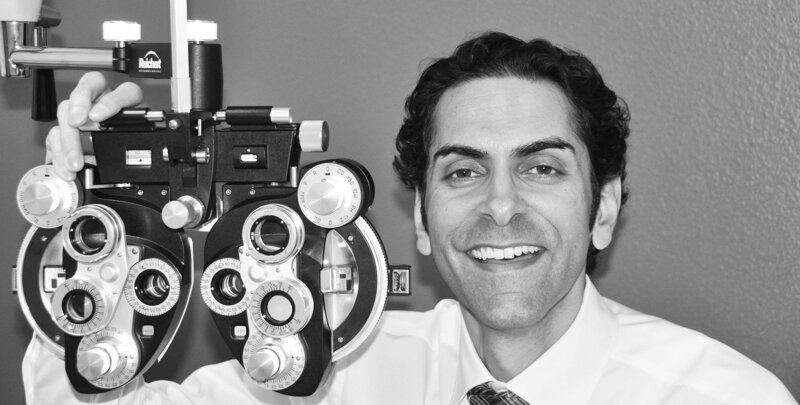 Dr. Nimesh Pathak is a board-certified ophthalmologist who specializes in the treatment of corneal diseases, cataract surgery, and laser vision correction. Lucent Vision is the culmination of his dream to provide an eye care experience where patients are treated like family members. Copyright 2017 Lucent Vision Eye and Laser Specialists. All Rights Reserved. Please fill in the information below and we will contact you shortly to setup an appointment.